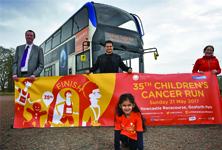 Stagecoach’s City Sightseeing Bus has unveiled a new look for the summer and is now on the road for visitors to Newcastle and Gateshead with the launch of the summer programme. TV and fashion celebrity Jessica Wright is helping to celebrate the style of bus passengers across the north east. 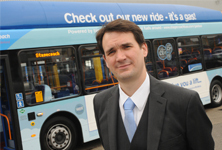 Stagecoach North East has listened to its customers and community leaders in response to a consultation on proposed bus changes in Newcastle which go live at the end of next month.